We’re not a fan of boxes at FreeForm. We don’t like working inside of them and we certainly don’t like thinking inside of them. This is why we don’t stick to the traditional marketing methods and we always look for new and innovative ways to create fantastic, relevant content tailored to specific audiences. When it comes to content creation, mobile app development has always been a passionate pursuit for FreeForm. The idea of creating a platform for clients to interact directly with followers on a personal level while simultaneously creating opportunities for audience growth has been a dream of company founder Bryan Wilks for years. It’s a dream that has hinged on bringing the right client together with the right technology capabilities at the right time. Fortunately for FreeForm, the right time is now and the stars have aligned to welcome Duck Dynasty’s Sadie Robertson to our family of clients with the release of the Sadie app for iOS and Android devices. When tasked with creating a custom app for a reality TV star, the initial goal is quite simple: do not screw this up. 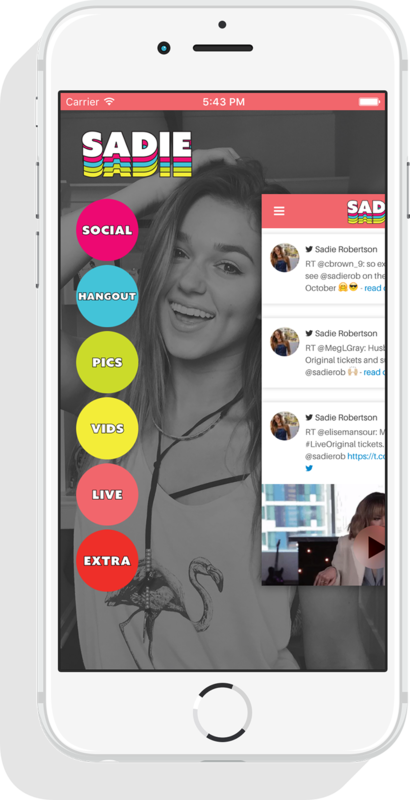 Once we had this driving force solidified in the back of our brains, the goal of the app itself was established: create a VIP experience for fans while providing Sadie an entertainment platform to interact directly with a growing audience of over 5 million social media fans and followers. The potential of the Sadie app is generating high levels of energy and anticipation, not only among the FreeForm and Duck Dynasty teams, but within the heart of Silicon Valley as well. FreeForm recently visited with Google to collaborate on custom-built integrated ads (via Google AdMob) for the Sadie app. The meeting yielded positive feedback and enthusiasm among senior level executives and programmers—an affirmation that the app is on track to be a technological game changer for FreeForm and our entire family of clients. While this—our first story of mobile app development—ends here, the journey is only beginning. We are in the process of signing additional artists and athletes and cannot wait to share our future app releases with you and with the rest of the world. 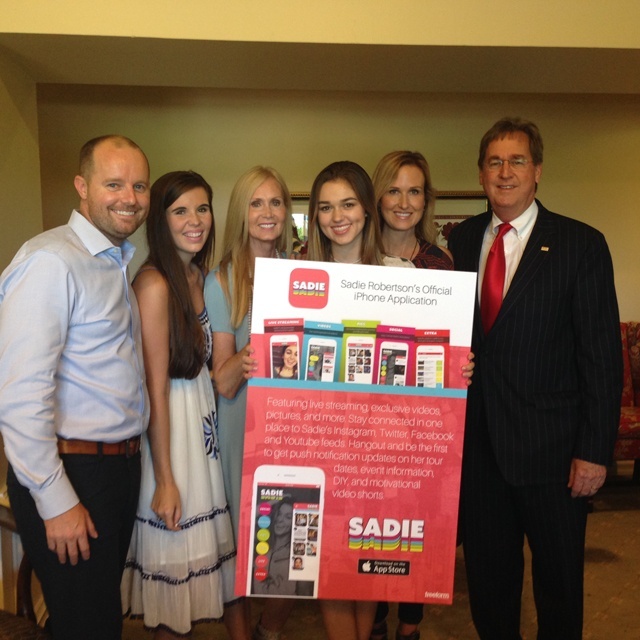 The Sadie app is now available for free on the App Store and Google Play. Visit www.sadiesapp.com to learn more.